Adrien Brody is joining Peaky Blinders for its upcoming fourth season, according to Deadline. At this point, Brody’s role is being kept a secret, but showrunner and writer Steven Knight teased that Brody was the actor he imagined while writing the part. Knight also told Deadline that he thinks season four will be the best one yet. 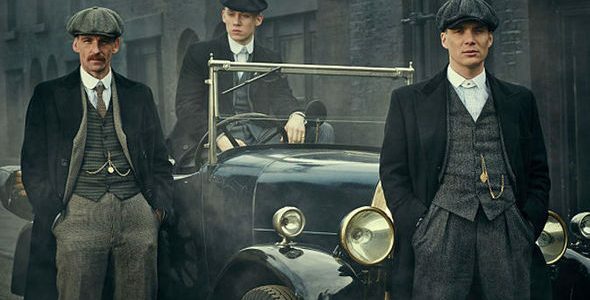 Season four also welcomes back Cillian Murphy as Thomas Shelby and Tom Hardy as Alfie Solomons. Other returning cast members include Helen McCrory, Finn Cole, Natasha O’Keefe, Packy Lee, Aimee-Ffion Edwards, Kate Phillips, Joe Cole, Sophie Rundle, and Paul Anderson. Deadline also teased that season four will start with Tommy receiving a letter on Christmas Eve. Whatever is in the letter makes him realize that the Peaky Blinders are in trouble. Tommy must return to the streets of Small Heath, Birmingham and leave his country home behind. The show will be premiere on BBC Two, but will eventually air on Netflix in the U.S. All previous seasons are currently available on Netflix U.S. Are you excited to see what role Brody will be playing next season on Peaky Blinders?